Students will enjoy some good books throughout the week, all leading up to the big Scholastic Book Fair and Art Show on Friday. During the week, students can also participate in the Coin Challenge to help earn money for books for Hilton's library. From March 16-20, Hilton Elementary families will share their love of reading with Right to Read/Book Fair week. 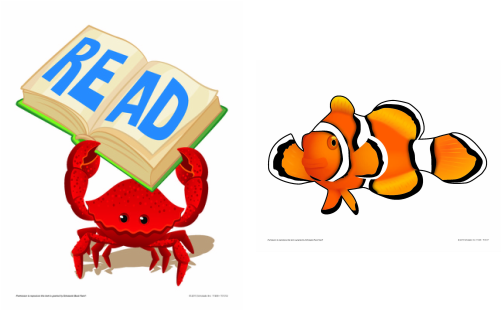 During the week we will be submerged in a fun colorful world of reading. We will be having daily give away's and spirit week. Students caught reading will be entered into a daily drawing for great reading prizes. During the week, students can participate in the Coin Challenge to raise money for All-For-Books, the Scholastic program that earns books for our school library. Scholastic then matches our raised dollar amount and donates books to charities such as Kids in Distressed Situations, Inc., and the Kids In Need Foundation. 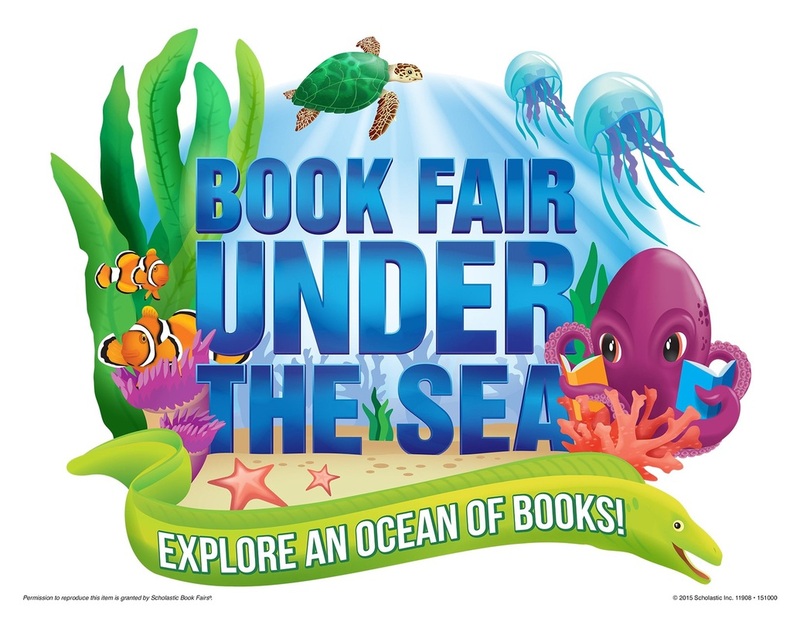 Then, be sure to come join our big Hilton Book Fair and Art Show Under the Sea on Friday, March 20th from 6-8 pm at the Hilton gym. Pick up some terrific books, take a stroll around and enjoy the art work of all out Hilton students, take some pictures with our fun under sea photo cut out, and meet Clifford! Bring in your coins each day. Check those pockets and couch cushions for extra coins to support All-For-Books and earn books for Hilton's library! Please volunteer to assist at Preview Day (during the Wednesday school day) and at the Book Fair event. We need your help! Can't make it to the book fair on Friday night? No problems! We will be sending home a Scholastic flyer that highlights some of their featured books. Fill it out like a regular scholastic book order and the book fair chairs will make sure that you receive your books through kidmail. You can also order books directly on Scholastic's web site starting on March 11th.